Tickets available through Watershed Box Office tel: 0117 9275100 or online at watershed.co.uk: £5.50 Full / £ 4.00 Cons. This event is presented with the support of Bristol Sweet Mart. In 1980 a young 18-year-old Palestinian fighter called Ibrahim Salameh left his family in Kuwait to join those fighting for Palestinian freedom in Lebanon. Two years after joining the fighters, Ibrahim was shot while on duty leading to his paralysis, ending his dream of being part of the revolution. 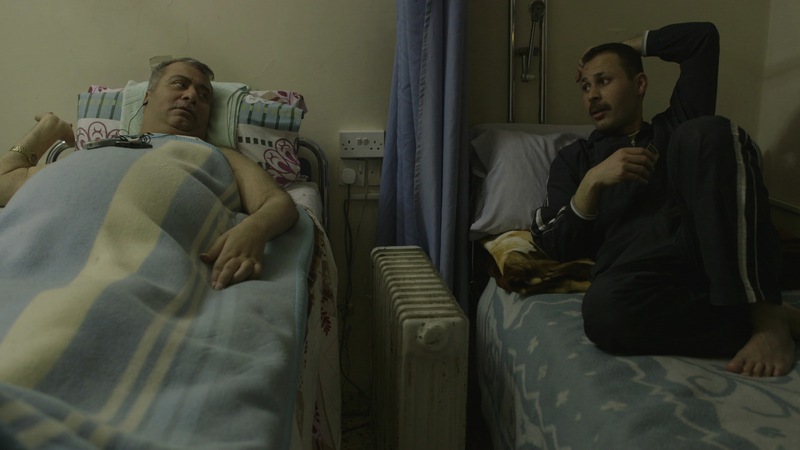 Saken is a film about this fighter and his caretaker Walid. Walid, an Egyptian man who came to Jordan to find work, was unaware that his path would cross with Ibrahim’s, and that together they would experience one of the strongest bonds two human beings could share. Saken is a film about friendship and sacrifice, how some people’s destinies are linked and hard to be broken.